The appearance of butternut, hubbard and acorn, squash at the market is a sure sign that fall has arrived. 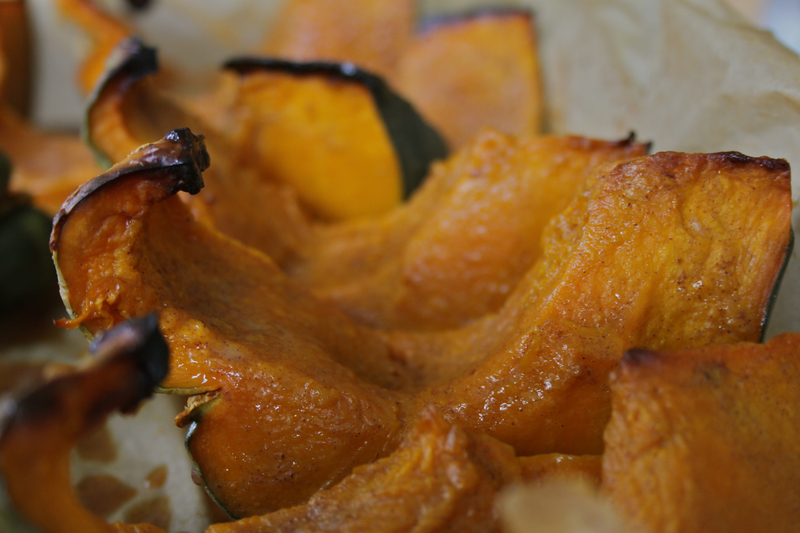 This is a simple way to serve squash that requires little work but has lots of flavour. Cut squash in half. Scoop out seeds and guts with spoon (an ice cream scoop can also be very helpful here). Cut squash into equal size wedges. Line a baking sheet with tin foil or parchment paper. Place squash onto baking sheet. Sprinkle with salt and pepper. Heat water, honey, and butter in small saucepan over low heat until honey and water are warm and combined. Add cinnamon and nutmeg. Stir to mix in spices. Pour honey liquid over squash. Using a basting brush, coat squash evenly with honey liquid. Bake in oven for 30 minutes. If serving immediately, bake for another 15-20 minutes. If making ahead, remove squash after 30 minutes from oven and allow to cool. Store in refrigerator for up to two days. Reheat for approximately 30 minutes before serving. Check if squash is ready by piercing with a fork; it should be tender enough for the fork to easily slide all the way through.